Three_friends - Illustration store PicsForDesign.com. PSP tubes, PSD illustrations, Vector illustrations. 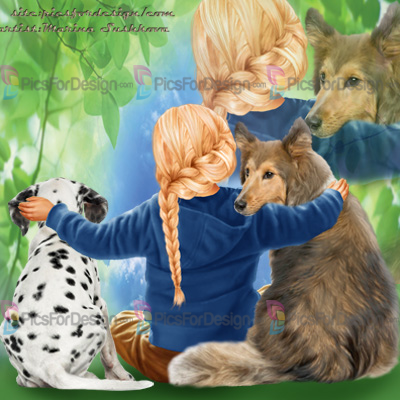 Girl, child, dogs, sun, Earth Day, love, child with dogs.